We offer a wide selection of high quality all wood Oak, Maple, Cherry and Walnut kitchen cabinets in many styles and sizes, at discount prices. Above: Real cherry all wood kitchen cabinets in shaker style. Get a free estimate and save thousands on your new kitchen cabinets. We use only the finest materials for our cabinets. 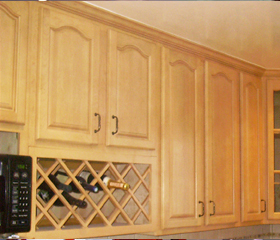 All of our cabinets have solid wood doors and all wood cabinet box construction for high durability. We use absolutely NO PARTICLE BOARD or other cheap fillers!!! Our cabinets are designed to last. What are the Benefits of an All-Wood Construction Kitchen Cabinet? Our plywood cabinet boxes have greater dimensional stability, and high tensile strength for durability and endurance. And because our cabinets are more durable, it means that you are not going to need to replace them again and again, as you might if you bought lower quality cabinets. Many cabinet manufacturers show a cheap price, but offer a product that is designed to rot out and need replaced again and again. Great business model for the manufacturer, but not much fun for the home owner. It is difficult for particle board to withstand high load. Save time and money by ordering quality cabinets right from the start. Click here for a free no obligation estimate. How Are Your Cabinets Packaged? How Much do They Cost? Our cabinets are shipped ready to assemble and will save you OVER 50% OFF from comparable cabinets at box-type and retail stores. Buying RTA cabinets you not only save money on the cabinet prices, but also only pay a fraction of the shipping costs you might expect to pay if the cabinets came pre-assembled. Plus RTA cabinets are far less likely to get damaged during shipping. How are your kitchen cabinets different from brands like Kraftmaid, Thomasville and others from retailers like Home Depot and Lowes? Price. The quality of our kitchen cabinets is comparable to their upgraded all-wood cabinets. However, almost all other manufactures charge an upgrade fee for all-wood construction. 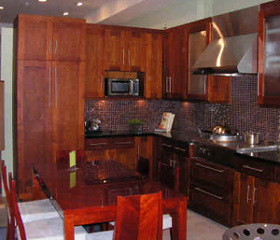 All-Wood construction kitchen cabinets are a standard with us. 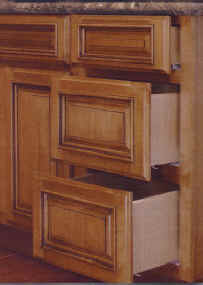 Our discount kitchen cabinets typically range between 45-60% below retail and competitor’s quotes. What are Ready to Assemble Cabinets? How Can They Help Save Me Money? RTA Stand for Ready to Assemble. RTA cabinets are compact to ship and store. 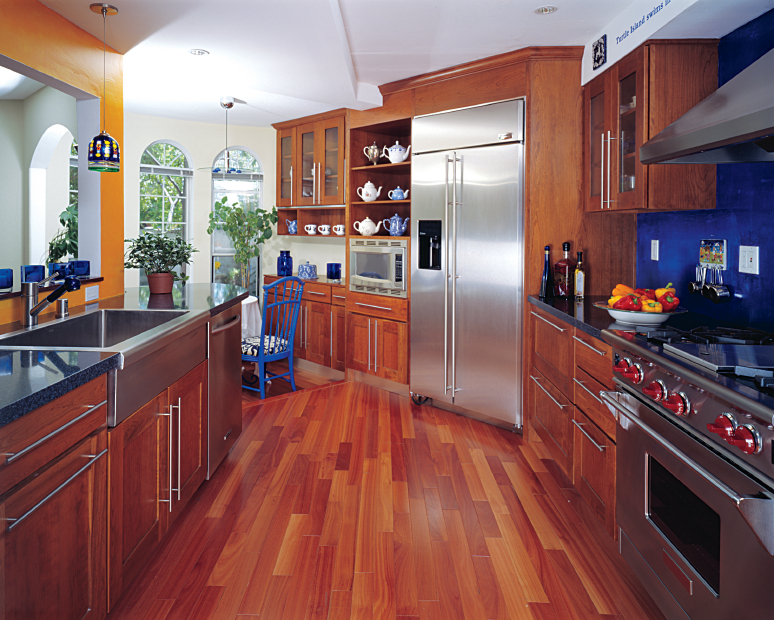 In turn, customers typically save more than 50% on quality kitchen cabinets. Each cabinet is well packed with all the components including, cabinet doors, wood frames, hinges, shelves, clips for shelves, plywood cabinet boxes and drawers for base cabinets. And because the cabinets are shipped RTA they cost less to ship, and are less likely to be damaged during shipping. How Do I Assemble the Cabinets? It is quite easy. 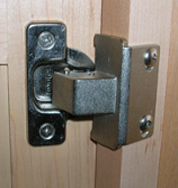 The joints are secured with a heavy duty Cam-Lock system. All that needs to be done is align the pieces together then lock them in place by tightening the Cam-Lock with a flat-head screwdriver! This system significantly reduces assembly time, yet increases cabinet structure durability. Tools required to assemble are minimal. Should We Install Our Kitchen Cabinets? or Should We Hire a Contractor? It depends. If you’re totally a do-it-yourselfer and have all the patience and all the right tools, then go for it. Most mechanically inclined individuals can put our cabinets together in 5 to 10 minutes each, and after you get the first one they go even quicker. Click here for more valuable information on kitchen cabinet installation. If you decide instillation is too much work for you, then we recommend hiring a contractor or skilled carpenter. Since our cabinets are easy to install it shouldn't cost you much money to have them professionally installed. What Mechanism is Used to Attach the Cabinet Doors? 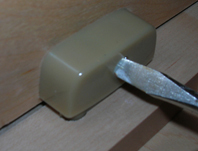 We use European style heavy-duty all metal concealed hinges. Is there a Warranty for these Kitchen Cabinets? Yes. The warranty for the kitchen cabinets is found by clicking here. Do you have contractor discounts? Yes. We have the widest selection of contemporary ready to assemble modular discount priced kitchen cabinets online. Learn more about contractor and developer pricing here.